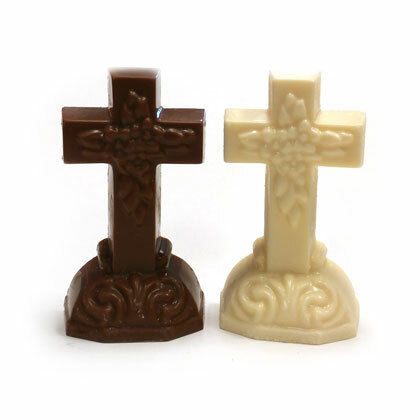 Chocolate cross solid chocolate. 3.75 oz. Approx 2.5 inches wide and 4.25 inches tall. Made in USA. Individually wrapped.